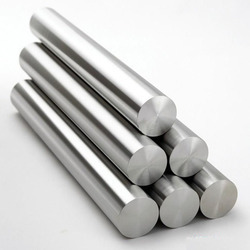 Wholesaler of a wide range of products which include 304 stainless steel sheet, hexagonal rods, reducing elbow, stainless steel channels, titanium circles and stainless steel wire. 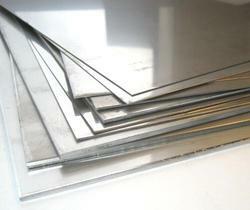 The SS 304 Steel Sheets that we offer to our clients are manufactured using high quality materials. We always aim to provide high quality sheets & Plates at most competitive price, high on quality and durability. These sheets and plates are available in different dimensions and material to ensure wider choice to our clients. We provide an array of the finest quality Hexagonal Bars. These bars are manufactured using the latest technology and premium quality raw materials. They are available in various material specifications, such as stainless steel alloy, alloy steel and carbon steel. The hexagonal bars find their application in construction companies. The team of experience professionals stringently checks and tests on various required parameters so that they comply with the industry standards. Designed in line with international quality standards, our range is leak proof and resistant to corrosion. 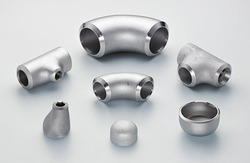 Available in varied specifications, these elbows are extensively used in water supply pipe lines, industrial food processing pipeline and in various other fluid transfer piping systems. 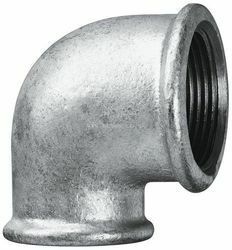 90 Deg Elbow : We provide 90 Degree Elbows that are quick-connect pipe fittings to route water lines or fluid transfer, which are laid in confined areas. The angular bent of these fittings provide easy fixation of both the pipes. Our 90 Deg Elbow ends are threaded and ensure easy installation and a leak proof connection. Wall Thickness : Sch. 5S to Sch. XXS. 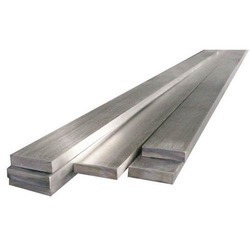 We are among the topmost suppliers in the country providing a high range of Stainless Steel Channels across the market. We provide our customers a unique and verified category of these channels. These channels are widely used in construction work and allied sectors. Our channels are made up of top quality steel and advanced technologies according to the pre-industrial standards and norms. Supplier & Exporter of a wide range of products which include Stainless Steel wire such as SS 304 Wire, SS 304L Wire, SS 316 Wire, SS 316L Wire, SS 321 Wire and SS 347 Wire. Our clients can avail from us a vast range of Stainless Steel Coils. Available in different grades, these coils are well-known for their excellent corrosion resistance, tensile strength and durability. We can offer our range in varying dimensions as per the requirements provided by the clients. Being perfectly shaped and swift movement of our organization, we are instrumental in offering a qualitative range of Stainless Steel Rods. These offered rods are designed by our professionals in compliance with industry quality standards. Our provided rods are manufactured using the latest technology, innovative machines and the finest raw material. Offered rods are widely used in numerous industrial applications such as heavy engineering, construction, and many others. Moreover, these rods are tested on various stringent parameters to ensure their durability and quality. With the endorsement of our seasoned professionals, we are engaged in offering a commendable range of Stainless Steel Y Anchor. It is used in cement, ceramic, steel, thermal, petrochemical, power and many more. 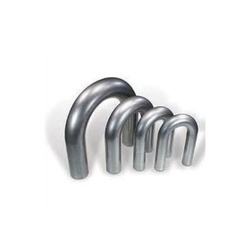 The offered anchor is manufactured by making use of high grade raw material and leading technology in synchronization with the set industrial norms. In line with clients' variegated requirements, we offer the entire range of anchor in various customized options. 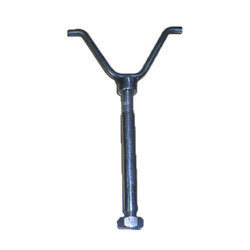 Clients can avail the entire range of anchor from us at industrial leading prices. Refractory Anchors in unlike specifications as per the preferences of global clients. We are tagged as one of the most illustrious Industrial Refractory Anchors Suppliers from India. 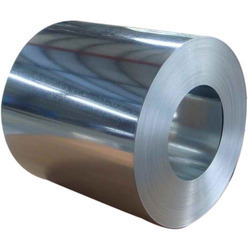 We offer to source from reliable manufacturers the products like Stainless Steel CR Coils. Cold rolled coils are produced after being processed in the 20 Hi Mill, continuous anneal & pickle line, skin pass mill slitting line and cut to length lines. Absolute flat sheets are produced after being put through the Voss leveler. Cold rolled coils are available in different finishes 2D, 2B, No3, No4 and BA Grade: AISI 304, 304L, 316, 316L, 410, 420,430, JS 201, 203, 409, 409L Thickness: 0.05mm to 0.8 mm Width: 790, 870, 1000, 1219, 1250, 1550 mm. 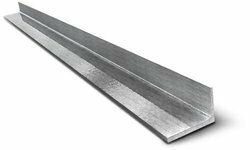 We have marked our specialization in sourcing a qualitative range of flat bars that are fabricated from optimum quality raw materials. Our flat bars are widely appreciated for their high tensile strength, extra bend ability, high elongation values and corrosion resistant. We offer these bars at most affordable prices. Facilitated by technically advanced process, we are presenting a distinguished collection of Duplex Steel Sheet that is suitable for variegated industrial applications. Our offered rod is manufactured by utilizing optimum quality raw material and advanced technology by our vendor’s expert professionals. In order to ensure quality, this rod is rigorously tested on various parameters. In tune with industry standard, we provide the entire range of rod in various sizes and designs, as per the ever-evolving requirement of our clients. In line with clients' diverse requirements across the country, we are offering an excellent range of L Angle. 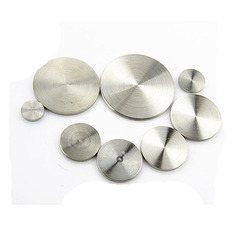 The offered metals are designed at our vendor’s ultra-modern manufacturing unit using the superb quality material and progressive technology in conformance with defined quality standards. Being a quality-oriented organization, we assure our clients that these metals are excellent on counts of durability and quality. We provide these metals in various customized options and at affordable prices. 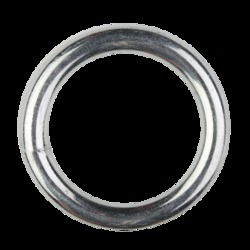 With sincere intentions to preserve and uplift our reputation in the market, we bring forth a distinguished assortment of Stainless Steel Rings. Our offered coil is manufactured using utmost-grade raw material and cutting-edge technology in compliance with defined quality standards. 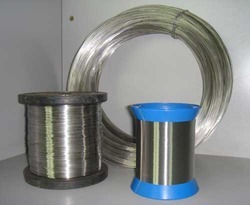 The offered coil is extensively used in various industrial applications. Keeping in mind the diverse requirements of our clients, we provide the entire range in various sizes and designs and at affordable prices.